Arthur C. Danto's lucid introduction to the central topics of Western philosophical thought remains an unparalleled guide to problems in metaphysics and epistemology that have engaged philosophers for several millennia. 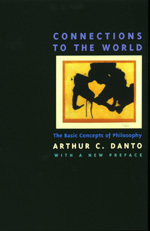 Examining the work of Plato, Berkeley, Descartes, Hume, and Wittgenstein, Danto explores debates about empiricism, the mind/body problem, the nature of matter, and the status of language, consciousness, and scientific explanation. In a new preface to this edition he considers the current relationship between philosophy and the humanities. Arthur C. Danto is Professor Emeritus of Philosophy at Columbia University and art critic for The Nation. He is a past president of the American Philosophical Association and the author of more than fifteen books, including Encounters and Reflections (California paperback, 1996) and Playing with the Edge: The Photographic Achievement of Robert Mapplethorpe (California, 1995).